We regularly hold conferences and meetings at a local, regional and international level for our member firms across the world providing both collaboration and networking opportunities. Please note that event registration and documentation such as the agenda is only available to member firms. 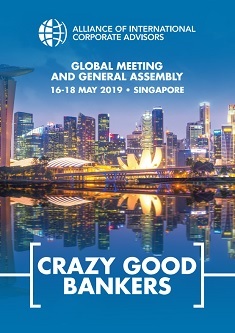 Singapore will be our destination for the AICA Global Meeting in 2019. The agenda is still being planned, but will include round table discussions, networking and collaboration, best practice sessions and one to one meetings. 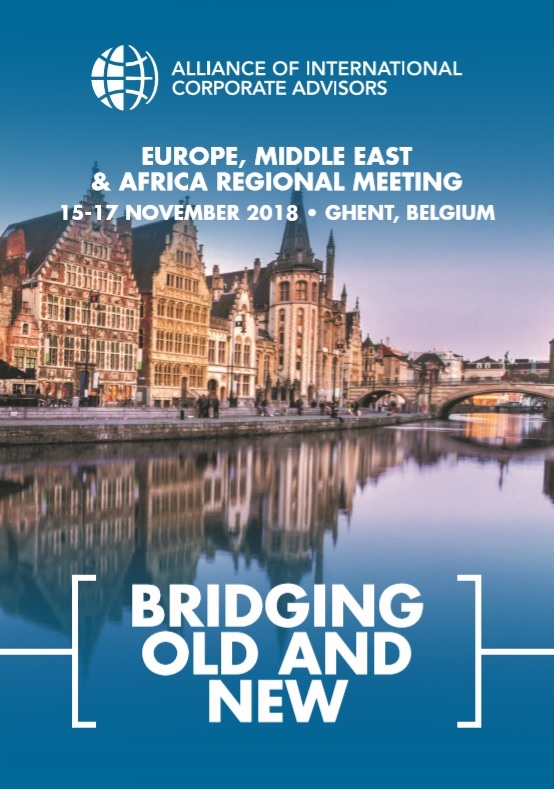 The Conference aims at capitalising on the existing traction and leveraging our new website & CRM to accelerate the collaboration momentum, solidify the existing network, find additional business opportunities and develop cooperation between old and new members. 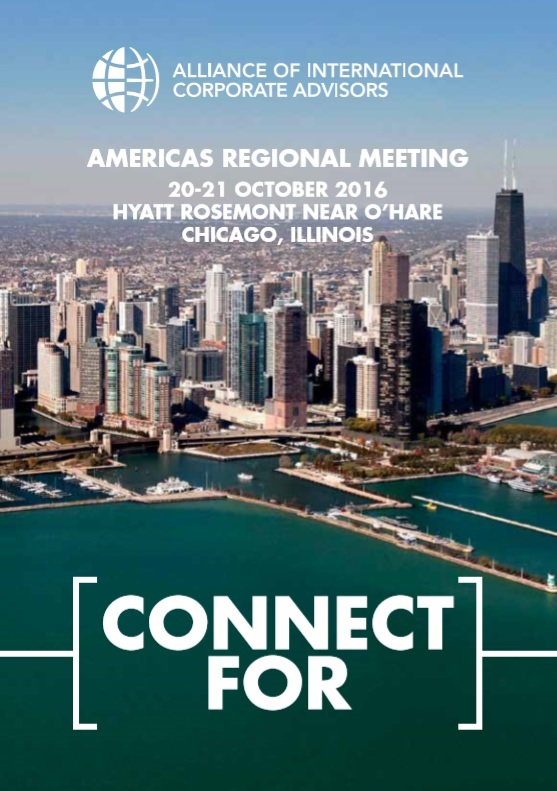 Welcome to the 9th AICA Americas Regional Meeting in the Windy City, Chicago! Our theme, ‘Next Generation’, refers to a number of pertinent items on the agenda. We are looking at taking collaboration and information to the next level, succession planning, both for clients and for ourselves, and engaging the next generation of professionals at our firms. 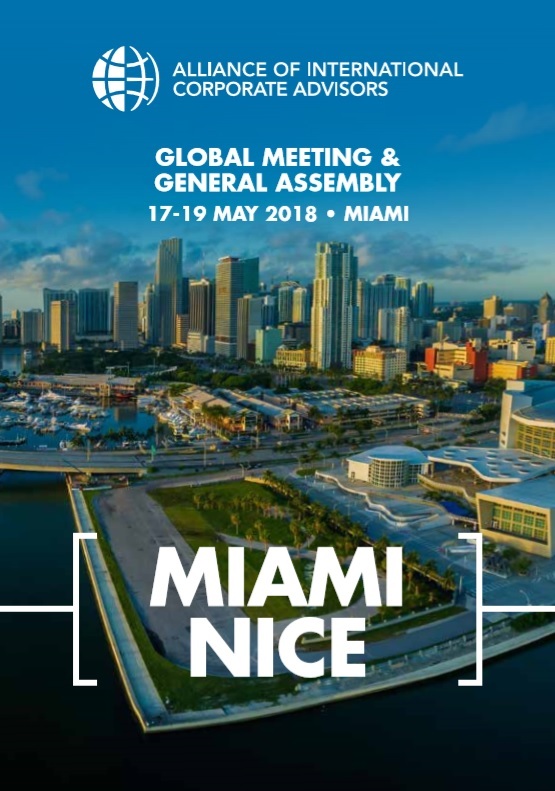 Miami Nice – Our theme for our annual Global meeting taking place in Miami, Florida. Sessions will include round table discussions, collaboration, best practice and one to one meetings. 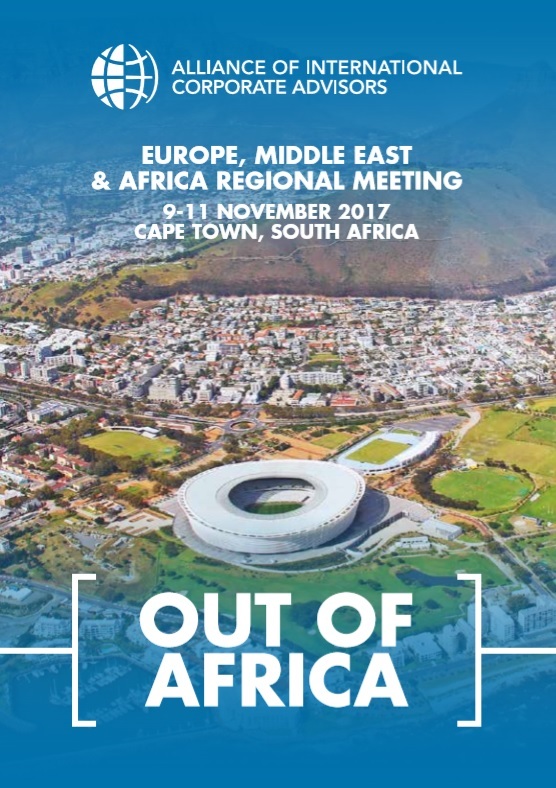 Out of Africa – Our theme for our annual EMEA meeting taking place in South Africa. Many collaborations and one-to-one meetings took place. 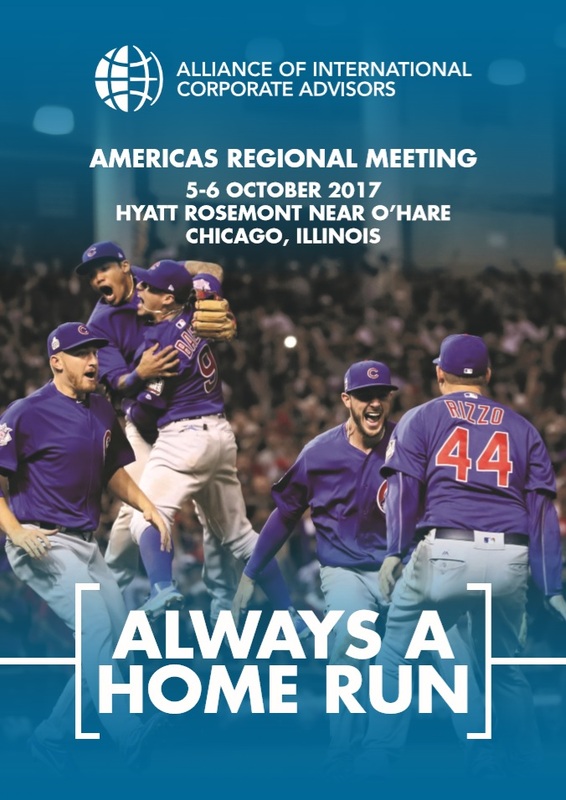 Our theme, ‘Always a Home Run’, commemorates the Chicago Cubs miraculous and emotional world series win that was happening whilst at our 2016 conference and epitomises our aim to always have a ‘home run’. 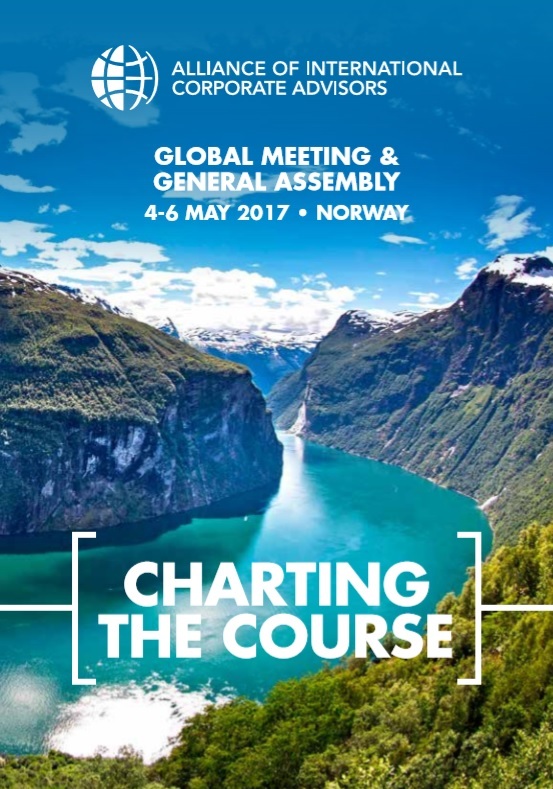 Charting the Course – Is the theme for this year’s Global Conference. Charting the Course to transaction success. With over 80 members attending from 43 countries, held in Oslo during a glorious summer day in May. 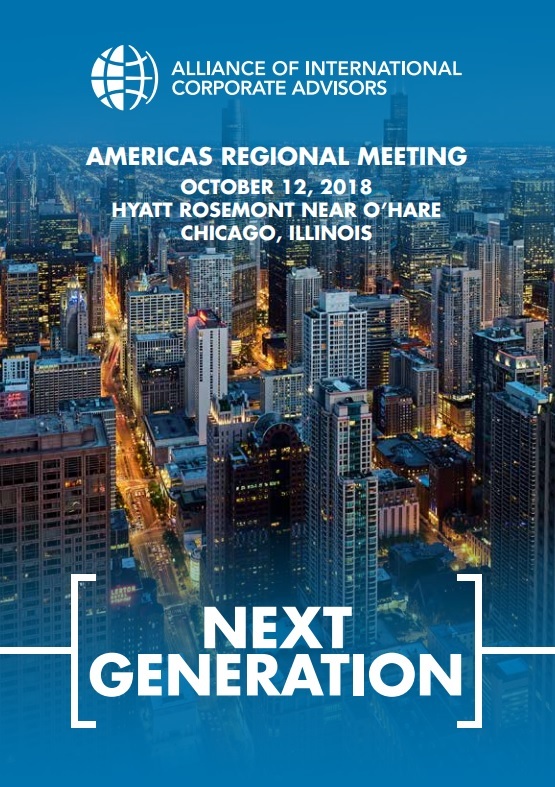 Hosted by member firm Acquisitions Northwest Inc.
Connect For – Our theme for the Americas Regional Meeting 2016, held in the ever popular central location of Chicago, Illinois. Where members where there to connect for the opportunity to better serve our clients. Connect for the opportunity to build on strong relationships. 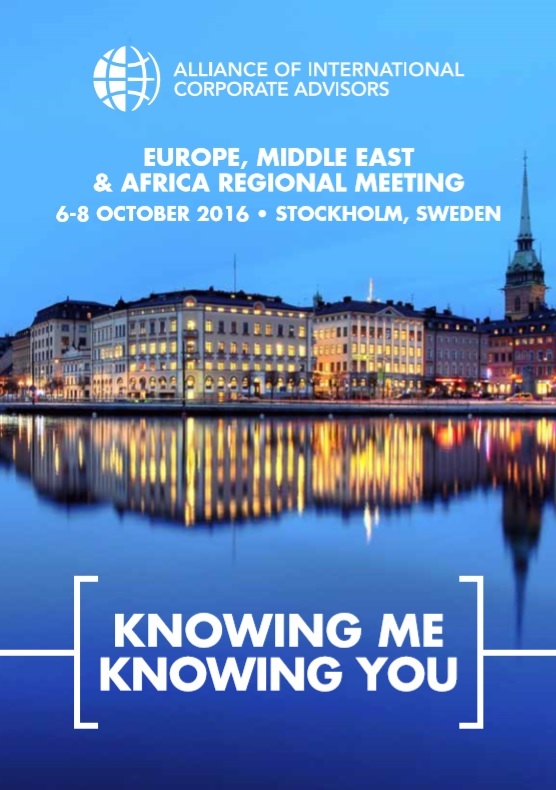 Knowing Me, Knowing You – The theme for the EMEA meeting 2016 and the 7th AICA EMEA meeting in the Venice of the North, Stockholm, Sweden. The key priorities being to continuously improve cooperation's between AICA members. 45 professional investment bankers met and shared knowledge and insight in the wonderful Stockholm. Hosted by member firm Nimbus Associates Inc. 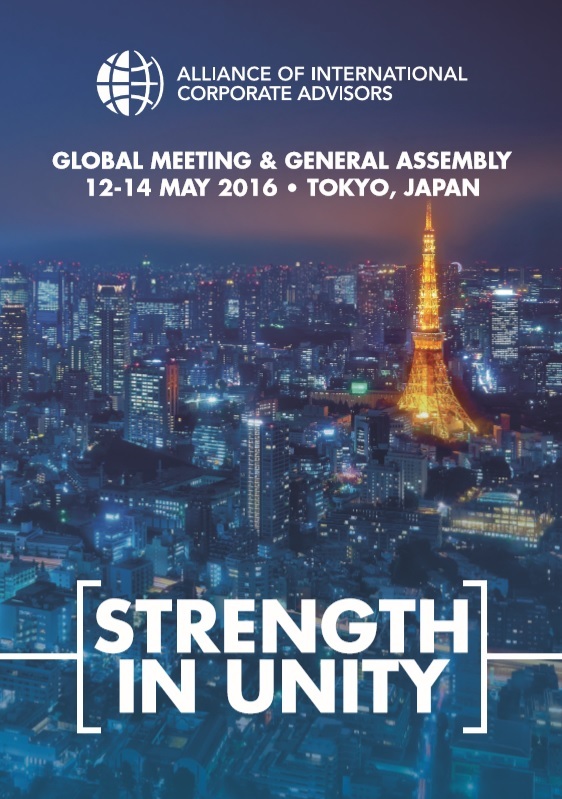 Strength in Unity – The theme for our Global Meeting 2016 in one of the most vibrant capitals in the world, Tokyo. Members converged from over 40 countries to discuss collaboration, the M&A market and to strengthen business relationships.